The goal for 2019 is 12 or more, to try to hit a one per month average at least. We shall see. I’ll leave you with the updated chart of my reading since 2006 with 2018 added in… the trend is in the right direction. I’m not reading enough. I blame Trump. And Twitter. I’ve been thinking lately about how I have not been reading nearly enough books lately. This is a problem. 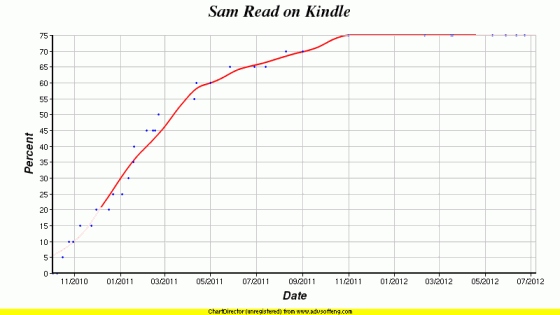 I’ve been tracking the books I read since 2006. 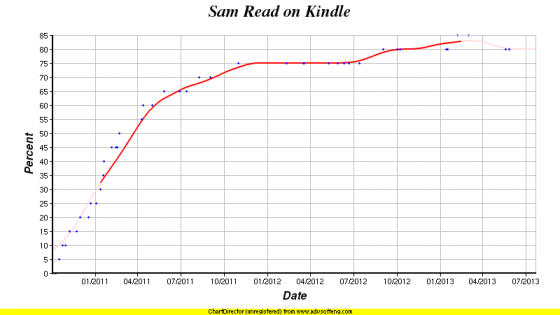 The graph above quantifies it. 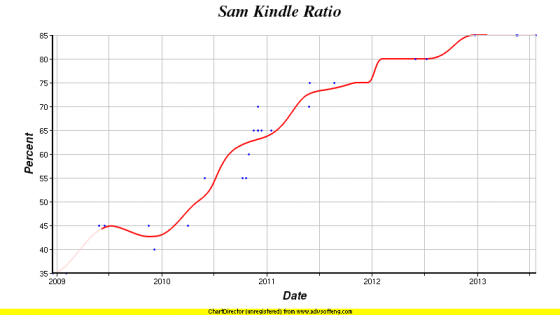 Although I was bad in 2007-2009 too, I’d been keeping up a decent pace of reading from 2010-2015. A decent pace for me anyway. My average in those years was 13.5 books per year. I know a lot of people read much more than that… and I even read more than that myself when I was much younger… but I think I’m OK with anything above 12 per year at the moment. One per month. In 2016 I fell off a cliff though. I only finished FIVE books. In 2017 it was even worse. Only THREE. I semi-joke that I blame Trump and Twitter, but there actually is quite a bit of truth to it. Starting with the 2016 election year, and going forward into the Trump administration, it has felt like if you turned away for even a few moments, you would miss something important happening. So all those spare moments that I previously might have spent reading a book (or even listening to an audio book), instead were spent on Twitter, listening to live news, listening to news related podcasts, or whatever. The key being it had to be real time or near real time. Reading tweets from a few minutes ago? Of course! Reading an article that was written earlier today? OK, fine. Reading an article that was written yesterday… MAYBE, if it was a really important one, but you’re stretching it. That is way too far out of date! A magazine article from a week ago? Don’t make me laugh! A book written years ago? Doing that felt like every moment spent on that was a moment I was disengaged and out of the stream of what was happening. What did I miss in the time it took to read that chapter? That was just painful. All of that is of course silly. Nothing bad will happen if I disengage with the news for a few minutes to read a book. Frankly, if anything really big happens, I’ll get an alert anyway. But even if I didn’t, it isn’t like I have to DO anything with that news in real time. I’m not going to be the one making big decisions in reaction to that news. I’ll talk about it on my podcast maybe, but that is a weekly thing. Maybe I’ll want to tweet, or even though I haven’t done it much in recent years, write a blog post. But all that can wait. And is frankly optional anyway. I can take 20 minutes (or more!) at the end of the day before bed or pull up my Kindle app sometimes on my phone instead of Tweetbot when I have spare moments here or there. I can listen to an audio book on my commute home instead of a news related podcast or live news channel stream! I can! I really can! So a few days ago I made a resolution. Lets call it an April Fool’s resolution even though it wasn’t quite on April 1st. I decided that for 2018 I’ll make a conscious effort to do a bit more book reading than I have in the last two years. 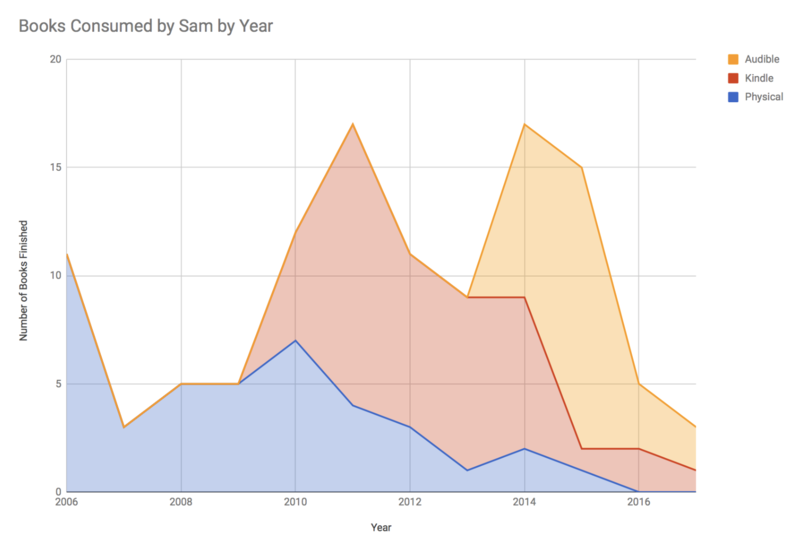 Maybe I won’t exceed the 17 books finished that I hit in 2011 and 2014, but maybe I can at least beat my average over the last decade of 9.9 books per year by finishing at least 10. 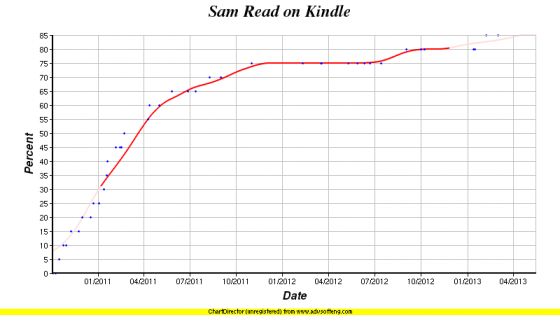 Maybe I can even manage a one book per month average! The last “book” post I did was the list of all the books I finished in 2011. To catch up, here is a list of all the books I finished from 2012 to 2017. I used to do little mini-reviews of each book as I went along, but no time for that, so just a list… I’ll report back on 2018 once it is over to see how I did. I’ve fallen way too far behind on my little summaries of things I have read, so I’m switching methodologies. Instead of posting something for each book, I’ll do annual summaries. The last individual book I did was Envisioning Information which I read in February 2011, so I’ll start with 2011. I’ll do the whole year, even though it means backtracking a little bit. 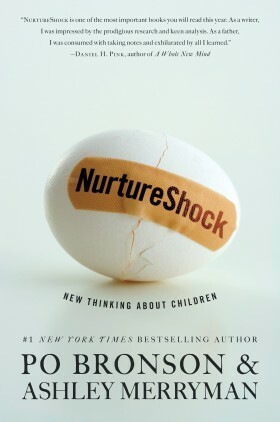 Nurtureshock by Bronson and Merryman : 2010-12-22 to 2011-01-03 (336p/13d=25.8p/d): A book about child development and parenting concentrating on places where research has shown results that are perhaps a bit counterintuitive. It was interesting. 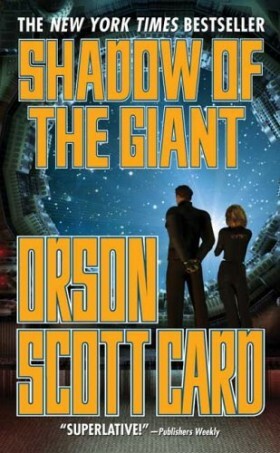 Shadow of the Giant by Orson Scott Card : 2011-01-03 to 2011-01-12 (6136L/10d=613L/d): The 9th book in the Ender series. One of the Bean ones. Continues the decline in the series. Still an entertaining read, but still a series that kept going past where it needed to. 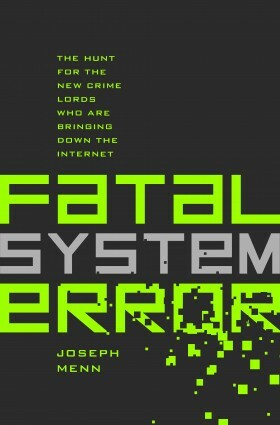 Fatal System Error by Joseph Menn : 2011-01-12 to 2011-01-18 (4589L/7d=656L/d): An investigation into internet organized crime. 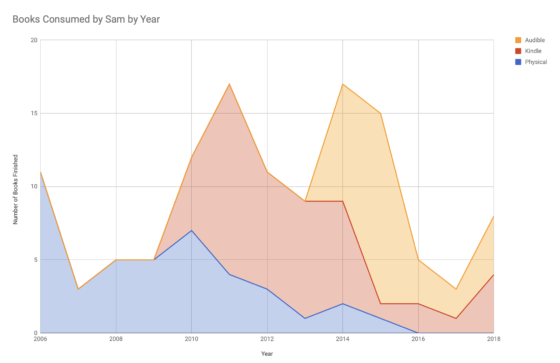 It followed investigations into a few rings of people responsible for DDOS attacks, cyber gambling, cyberwarfare. Interesting, and kinda scary. 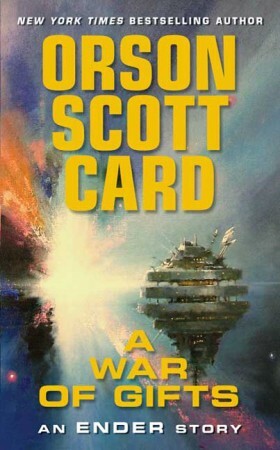 A War of Gifts by Orson Scott Card : 2011-01-18 to 2011-01-19 (1294L/2d=647L/d): the 10th book in the Ender series. More of a novella than a full novel. Very short. With a Christmas theme. Going back to Ender’s time in battle school. A rather odd addition to the series. 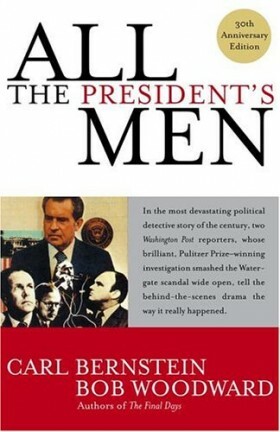 All the President’s Men by Woodward and Bernstein : 2011-01-19 to 2011-02-05 (5862L/18d=325L/d): The classic recounting of the Watergate investigation. I found it interesting but a bit dry. I also found myself wishing it continued further in the story than it did. 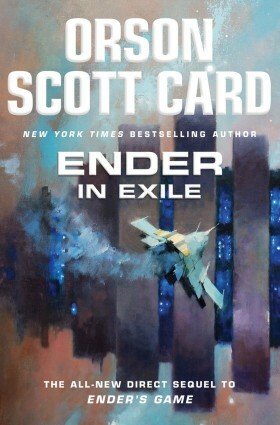 Ender in Exile by Orson Scott Card : 2011-02-05 to 2011-02-13 (380p/9d=42.2p/d): Book #11 of the Ender series. There are 15 now, with a 16th on the way, but this is the last of this series that I have read. This fills in a few gaps in Ender’s history. It was OK, but nothing special. 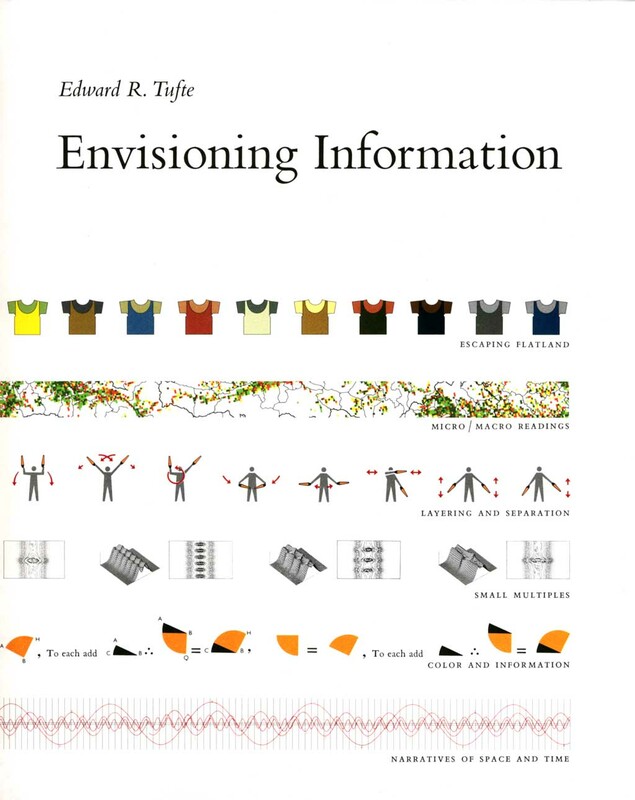 Envisioning Information by Edward Tufte : 2011-02-13 to 2011-02-16 (126p/4d=31.5p/d): The second in Tufte’s series of books on similar topics. These are nice pretty books, but I think they are a bit overrated, and most of the points he makes were already made well in the first book. This is the last book I reviewed the old way. How to Live Safely in a Science Fictional Universe by Charles Yu : 2011-02-16 to 2011-02-21 (2877L/6d=480L/d): A bizarre little time travel story. Very impressionistic and dreamy. Everything seemed kind of foggy. It was never quite entirely clear what was happening. Or maybe I was just too dense to understand it. Anyway, not my kind of book at all. Can’t say that I liked it. Decision Points by George W. Bush : 2011-02-21 to 2011-04-09 (10840L/48d=226L/d): The second George Bush’s memoirs. Not really an autobiography, but just highlights of important “decision points” in his life. I actually liked it quite a bit. It humanized GWB quite a bit for me, and actually made me feel sorry for him. Although I know it was not his goal, but to me it left an impression of someone in over his head and swept away by events beyond his control. The Lion, the Witch and the Wardrobe by C. S. Lewis : 2011-04-09 to 2011-04-12 (1986L/4d=497L/d): The first (by original publication date) of the Narnia series. I think the last time I read this I was between 5th and 6th grade. It is VERY SHORT. A cute book though, despite the fact that the whole thing is just a thinly disguised religious allegory. Visual Explanations by Edward Tufte : 2011-04-12 to 2011-05-01 (156p/20d=7.80p/d): More of the same from Tufte. Once again full of nice visual artifacts. Once again makes a few good points. Once again makes some others I don’t buy so much. O by Anonymous : 2011-05-01 to 2011-05-27 (5881L/27d=218L/d): A novel based around a staffer on the campaign staff of a fictionalized Obama clone. It was perhaps intended to provide a little insight into what was going on in the campaign with a little added drama. But in the end it was mostly forgettable. The Cult of the Presidency by Gene Healy : 2011-05-27 to 2011-06-28 (4882L/33d=148L/d): An examination of the growth of executive power over the history of the United States, with a concentration on the 20th century. For those of us with a deep suspicion of concentration of power… any concentration of power… it is a disturbing history. But most importantly it shows the ratcheting nature of such things. Powers once taken are rarely ceded again without a major crisis. Especially relevant in post-9/11 America. Dying of the Light by George R. R. Martin : 2011-06-28 to 2011-07-13 (6591L/16d=412L/d): Martin’s first novel, long before the days of Game of Thrones. It is about the last few groups of people on a dying planet. I haven’t read any of the later series, but if this first effort is a taste of what is to come later, I understand what people got excited about. This was a good old fashioned fun Scifi romp. I enjoyed it and look forward to reading more by Martin. How to Measure Anything by Douglas W. Hubbard : 2011-07-13 to 2011-08-09 (6328L/28d=226L/d): This is a book about how to use various techniques to produce reasonable quantitative estimates of almost anything, including modeling the uncertainty in those estimates. Indeed, it makes the strong point that any estimate without a confidence interval is worse than useless. I found much of what this book had to say immediately useful, and put much of it into practice in things I did both at work and at home. Highly recommended. The Girl Who Circumnavigated Fairyland in a Ship of Her Own Making by Catherynne M. Valente : 2011-08-09 to 2011-09-01 (4273L/25d=171L/d): Structured like a more modern day Alice in Wonderland, this is also a story of a young girl traveling through a bizarre fairyland with strange rules for how things work. It was interesting, and had some cute bits, but it was perhaps a bit TOO whimsical and non-sensical for my tastes. Just not my cup of tea, although I can see why some would like it. The Origin of Species by Charles Darwin : 2011-09-01 to 2011-10-31 (9403L/61d=154L/d): I don’t know what possessed me to read this. Historical curiosity I guess. It is a tour de force of classical science and all. It is also extremely dry and slow moving. Not exactly a compelling page turner. And of course in most circles, no longer controversial or radical. Subsequent science has of course refined details and corrected bits and pieces, but the fundamental concepts survive basically intact. It was good to read it, but there are much more accessible modern overviews of evolutionary theory out there for those who want it. And that was it for 2011. The book I started on October 31st wasn’t finished before the end of the year. 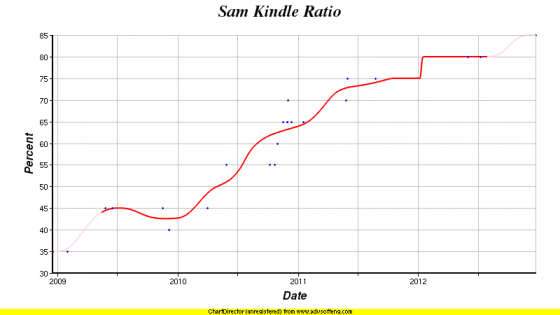 When I did the individual reviews, I had also been including charts for how many of the last 20 books I reviewed were available on Kindle, and how many of the last 20 books I have read I have read on Kindle. Using this new model, obviously the first is no longer really viable, so even though that ratio hadn’t yet reached the 90% at which I’d said I would stop, I will stop anyway. As you can see, this percentage peaked at 85% in early 2013 and has actually declined back down to 75% at the moment. 5 of the last 20 books I have read have been physical books. I find at this point that when I hit a physical book my reading slows down considerably, just because of the extra burden of having to carry the thing around. I am sure this percentage will go back up again, but as long as I keep occasionally reading physical books that have been gifted to me (or I occasionally choose a physical book I have owned for years) it will be hard for this to get up to 100%. For that to happen I would need to not just avoid buying new physical books (I already do that) but actually reject the possibility of physical books when they do come up. I’m not quite ready to do that. Not sure when I’ll do the 2012 books. Someday. 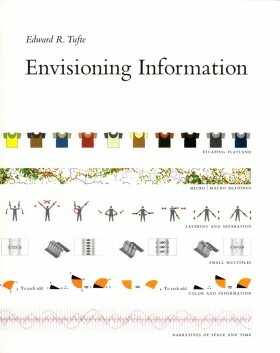 Envisioning Information is the second of the series of information design books from Edward Tufte. After the first book, I thought, yeah, he makes some good points, but he is a bit overhyped. It has been a long time since I read the second book, but I don’t remember anything that changes that assessment. In addition though, it seemed that most of the good points were made in the first book and there was a lot of repetition in the second book. More and different examples to be sure, but used to make the same general points over and over again. Some of the points Tufte makes (making sure what you present is clear and uncluttered by “chart junk” for instance) I think are great. Others, such as where he pushes the idea of super high density information displays of information I think are not as well placed. SOMETIMES having those sorts of things that are jam packed with information that you can explore for hours is great. But MOST of the time, having something that as clearly as possible focuses in on the specific things you are looking at can be far more useful. There is indeed a place for both of course. Anyway, there are of course lots of nice examples of information design. Some Tufte calls out as wonderful, some he calls out as horrible. Sometimes I agreed with him, sometimes I did not. And don’t get me wrong, a lot of this is fun to look at, and there is good discussion. I just felt I had probably gotten most of what I was going to get out of it in the first book. And of course, this isn’t the last of the series. This is not the last Enderverse book, but this is the book that Brandy had gotten me for Christmas/Birthday/Something that had prompted me to systematically use all my fiction slots from May 2009 to February 2011 for reading all of the Ender Series books up until that point. I liked the series, but for the most part it started strong and got weaker as it went. And almost two years of no fiction other than Orson Scott Card was probably a bit much. I’m not sure I’ll give that sort of special treatment to a series again, even if I am gifted a book that is not the next in the series I have to read. After this book was read, the next Ender Series book… Shadows in Flight is on my big list of potential fiction to read but is not given any preferential place relative to anything else. Which means, at the moment, it has a 1 in 203 chance of being picked the next time I pick a fiction book to read. Anyway, how was the book itself? Well, the whole enjoyment score I mentioned in my last post is out the window, because I read a physical paper version of this book. But my 2+ year old memory of it is basically that it was OK. Not great. Nothing special. But OK. It filled some additional gaps in Ender’s life that hadn’t been covered in the previous books, and it started typing things together with the Bean books in the series. So, fine for Ender completists, but unless you are making sure you read all the Ender books, I probably wouldn’t bother. Once again writing these years after reading the book. Perhaps I’ll catch up someday. Ha! Well, in any case, this is the classic Woodward and Bernstein narrative of their watergate investigations. More than two years later, my main memory of this is being disappointed that it ended before the resignation, so didn’t take the story the whole way. Yes, I know they did another book that covered the last days of the Nixon presidency, but I still wished this just continued. I have a vague memory of thinking that while the events themselves were interesting and of course are historically important, than the actual tone of the writing was a bit dry and “this happened, then this happened, then this happened” for my taste. But it has been a long time since I read it, so who knows. I’ve been toying with giving a star rating or some such when I do these things, but realize I actually have a better measure of how much I enjoy a book, and it is already listed above. When I am really into a book, I make time to read. I read in the spare moments during the day. A minute here or there whenever I catch a chance, and I end up choosing to read instead of watching TV or even instead of sleeping sometimes. I end up reading it faster. Not in terms of how fast I actually read while I’m sitting with the book, but in terms of how much I read per day. Meanwhile, for books I am NOT enjoying, I end up forcing myself to read a little every once in awhile, but don’t actually seek out time to read, so those go much more slowly. And yes, this is also somewhat determined by the “difficulty” of the reading. 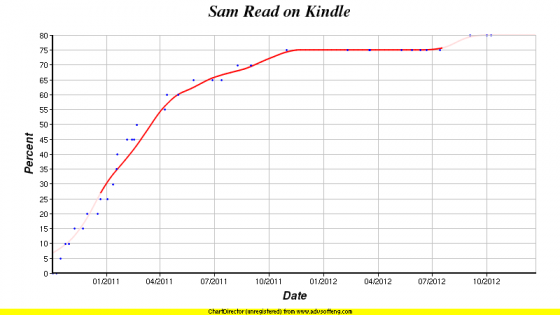 A light fiction book is going to “flow” better than a dense textbook. But I think that also matches up with my enjoyment. The dense textbook may well provide me with valuable information, but I’m not sure “enjoy” would be the right word to describe my interaction with it. With physical books, if you look at pages, that is of course a measure that depends on the size of the pages, the size of the print, if there are photos or illustrations, etc, etc, etc. But if I’m reading on a Kindle, most of that is abstracted out by the “location”. And look there above, I already have locations per day. 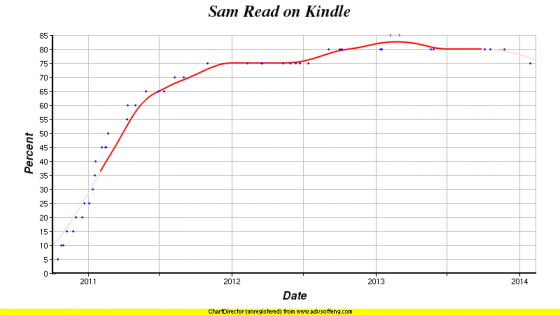 With my patterns of reading (one book at a time, always finish any book I start), this is a good measure, at least for books I read on Kindle. So yeah, I guess I wasn’t all that excited by it compared to the last few things I’d read previously. I continue my tradition of writing “quick” reviews of books over a year after I read them… uh, almost two years after I read them. Oops. Anyway, I guess this has value as it leaves in my head only what is fundamentally memorable about a book, not just the initial impressions. It is yet another in the Ender series. #10 in publication order. It is not a full novel. Maybe a novella? Really not much more than a short story. It has a Christmas theme. That is about all that persisted in my memory all this time, so I reviewed the Wikipedia page to refresh my memory. In the end it wasn’t a bad little short story. It just seemed out of place. The five second plot summary is that a student who is fairly religious arrives at battle school, where overt religious expression is forbidden as divisive. Hijinks then ensure over the Chirstmas season as various groups try to express their religious beliefs in various ways. Finally, Ender comes in and plays diplomat and resolves the situation. If you are trying to be a completist and read all the Ender books, by all means this needs to be part of that. Otherwise though, I’d probably skip this. So yeah, yeah, first I’ll just get it out of the way. I am writing this review over a year and a half after I read the book. Oops. Oh well. That’s just the way it is sometimes. Way behind. You know what that’s like. Anyway, this is a book that looks at some aspects of internet crime, specifically spending a lot of time on DDOS attacks, defending against them, and some messy battles involving internet gambling sites, but also expanding to include some thoughts on “cyberwarfare” between governments and some on identity theft. I remember the biggest impression I left the book with at the time was basically “Wow, really, there are REAL criminals and bad guys doing this kind of stuff?” I have to admit, that while I was vaguely aware of that fact, my overall impression of this sort of thing was that it was a bunch of small time folks, doing annoying stuff from their home computers. Not really the “organized crime” sort of picture that this book paints. Of course that makes perfect sense though. If there is money to be made by scamming people or whatnot, and it can be more easily done via the internet, sure, there may be small timers out there, but why the hell wouldn’t it get organized and big? And since we’re talking about illegal and unethical acts for the most part, obviously that is going to take on the flavor of organized crime, and all of the sorts of things that implies in terms of violence and threats of violence getting added to the mix. The book itself was an interesting detective story following the process of tracking down some of these crimes and tracking down who was actually doing what, and in some cases trying to actually move toward prosecutions and arrests, including dealing with corruption in Russia and other obstacles. It was a good read. I don’t have the expertise to really understand how representative the types of stories outlined here really are, but it was interesting and disturbing. Worth the read if you are curious about this sort of thing. 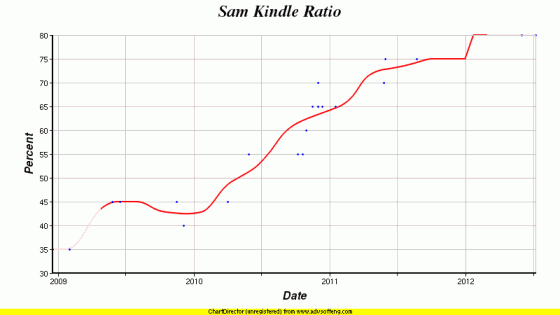 Finally, in the past I’ve separately done posts with charts on what portions of my recent reviewed books were available on Kindle, and what portion of my recently read books were actually read on Kindle. Going forward I will just include that at the end of my review posts. So here goes. It really has been too long since I read this for me to say anything too much about it. Most of it has slipped from my mind. It is the continuation of the story of Bean, and in fact is the last of the Bean centric books in this series… so far anyway, I gather a couple more are planned. This basically continues to follow the battle school kids (and Peter) as they are instrumental in global politics and wars, until the point where Bean finally leaves the planet. This was an OK read, but just didn’t have the impact of the first few books in the series. My basic thought this far in (8 books) was that the first was of course the classic and best. Then as we did #2 through #4 each was not quite as good as the one before. Then #5 freshened it up by shifting to Bean and was probably somewhere between #2 and #3, then as we went through 6, 7 and 8 we once again were in the pattern of each being not quite as good as the one before. Having said that, they were all enjoyable reads. The only “must reads” in the series up to this point are #1 and #2. But if you enjoy those, the others aren’t bad at all. I am now so far behind in these, it is a miracle I remember the books at all. It has been over six months since I finished this book. Uh… make that 7 months… Oops. Oh well, let me give it a try anyway. This was the second “parenting” kind of book I read in a relatively short period of time. But I swear it was complete coincidence, it is what came up next. Anyway, this one just reviews a bunch of different areas where research into child development has shown counterintuitive results and where simple things perhaps have a much greater effect than one might otherwise expect. Things like how praising a child for BEING smart is actually counterproductive, while praising them for something they DID that was smart helps quite a bit. Which makes sense when you think about it of course, but they show a lot of the backup research, lay it out, etc. I think that one was the first chapter. That is just one of many examples. They key to each of these is that they take relevant research, walk through the situations, the results of the research, etc and then apply it. Nothing is just “this is the right way to do this because I think it is”. Everything is backed up and nothing is actually that absolute. And they are all interesting bits that you may or may not have thought of otherwise. Anyway, I found this fun and interesting. Now, several months later do I actually remember much of it? Nah. In fact I had to go online to remind myself of the one example I used above. But still, it was a good read. And it does seem like it had some good points that I could be applying to both Alex and Amy right now. Uh… if only I could remember them.